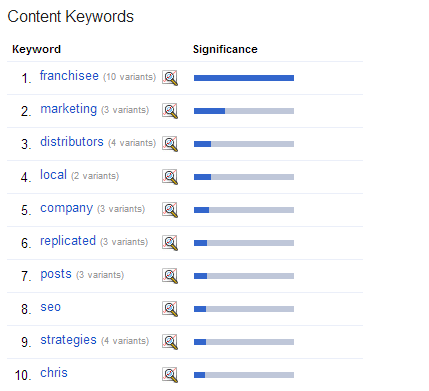 In this third part of our Franchise Local SEO for franchisors series we are going to discuss tracking and analytics based on the goal sets we spoke about earlier like increasing lead generation and site traffic. Once you have optimized your sites with the right content and keywords you want to start tracking and measuring the results of the content and keyword optimization. By tracking and analyzing the data you can make fine tuned adjustments to your websites content so that you can meet your online marketing goals. First, I will walk you through the process of setting up the tracking part and then the analytical part. We will then walk through the analysis and interpretation part of the data based on specific goals. For site analytics we will be working with Google Analytics. There are many other options available that are both free and paid and you may choose whichever is best for you. So let’s get started. Getting up and running with GA is fairly quick and simple. 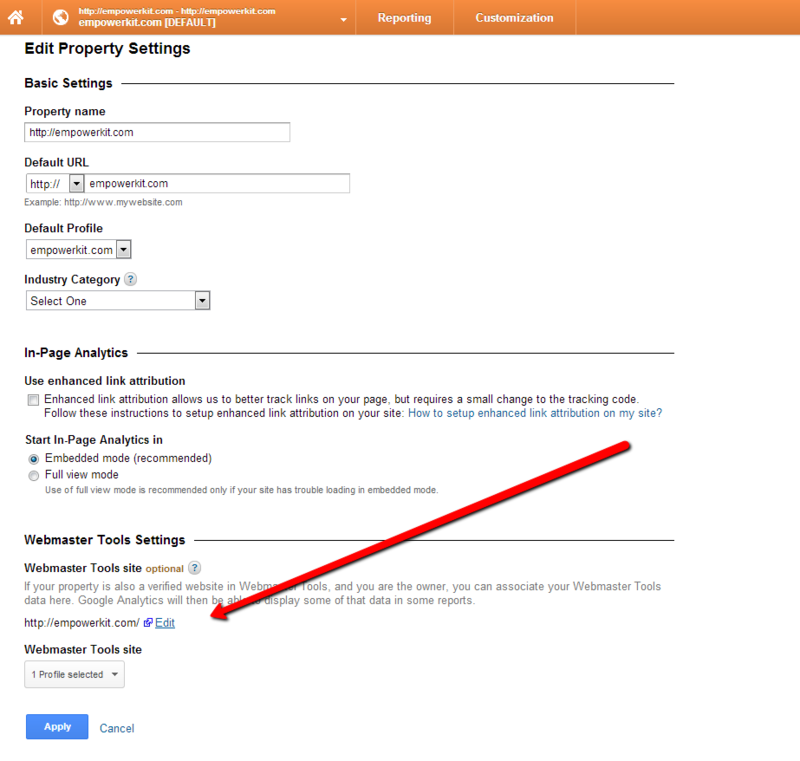 You can go the Google Analytics website and follow the simple setup instructions they have in place. 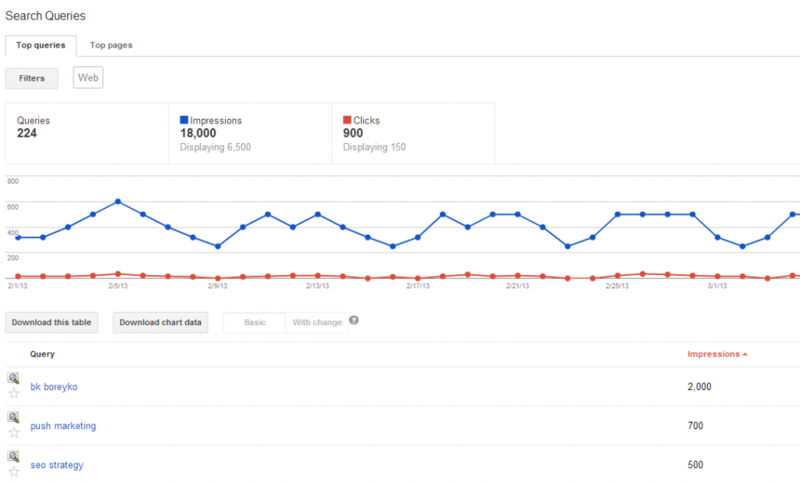 Once you are all set up you can then install Google Webmaster Tools. 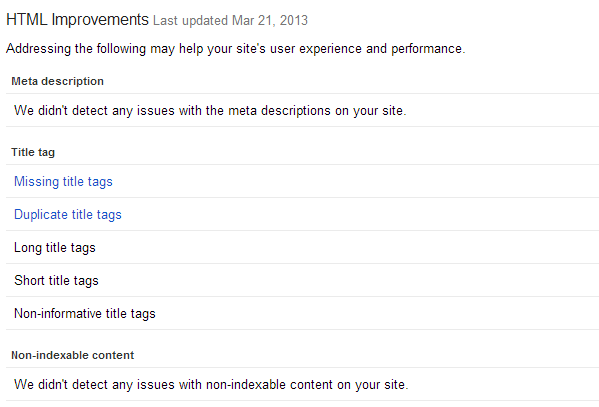 Ok so you now have tracking and analysis setup on your website. The next step is to let both of these gather some data. We recommend at least 3 months worth of data but you can begin tracking and analysis right after the first month. We will now take a look at what data we want to track based on our current lead generation strategy. For this we will take a look at data inside GWT and GA. Let’s start with GWT.